Deadline has been extended to March 6, 2019 (click here for application). Dependent of MEA member or MEA-Retired member in good standing. (A child of an MEA, MESSA or MEA-FS staff person is eligible if the other parent is an MEA member in good standing). The scholarship will not be awarded for the purpose of working on a post-baccalaureate degree. Scholarship determination will be made strictly on the merit of the applicant’s performance against the above criteria. The selection and award of scholarships is a nondiscriminatory process. 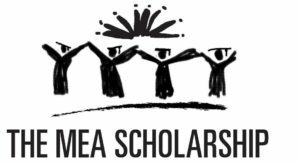 MEA Scholarships will be awarded by the trustees of the MEA Scholarship Fund. This body is composed of MEA members and persons appointed from the general public. The fund is financed through the voluntary contributions of the members, staff and friends of the Michigan Education Association. The “MEA Scholarship Fund” is financed through the voluntary contributions of the members, staff and friends of the Michigan Education Association. Your contribution is tax deductible and you will receive a written receipt and acknowledgment. The Michigan Education Association is an organization dedicated to the principles of public education, advancement of quality education, and security of the rights of education employees. There are approximately 140,000 members of MEA, who are public K-12 teachers and education support professionals; higher education faculty and educational support personnel; employees of intermediate school districts; and MEA-Retired members. Founded in 1852, the MEA was organized initially as the Michigan State Teachers Association, with 200 members. By the 1920s, local teacher organizations generated increased activities by the association to improve the welfare of the profession. It was at that time that the name was changed to Michigan Education Association. During the 1950s and 1960s the MEA became an aggressive statewide force for teacher rights and welfare, as well as other professional concerns. In 1984, active membership was expanded to include education support professionals. This brought together one of the largest single unions representing education employees. Throughout its long history, MEA has remained committed to quality education and retains a prominent leadership position as a strong advocate for public education. As one means of demonstrating its commitment to public education, the MEA has established and offers the MEA Scholarship.